Starcraft 2 Heart of the Swarm is quickly approaching release so I want to take some time and preview the differences I’ve noticed after playing a lot of the Beta. Please note this is a beta so things I write about may no longer be valid in the build your playing or the final shipped version. I have played Starcraft 2 WOL since release mainly as Terran. I do have an account for each race though. I have roughly 4000 games of 1v1 played in Wings of Liberty. I have reached Masters 2 seasons as Terran, while Diamond is my highest ranking for Protoss and Zerg. I have had the HOTS beta for a little over a month now and have roughly 100 games played so far. 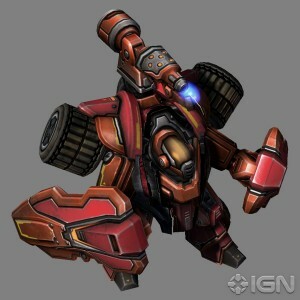 I have played as all 3 races, although I am still more skilled with Terran. I know the one thing everyone wants to hear about is the new units. I have played with and against all the new units so I’ll start going through one by one. The battle hellion is the normal hellions transformation that makes it endure more damage. Over the weekend I finished my first play through of XCOM: Enemy Unknown, so I wanted to share my impressions of this classic remake.